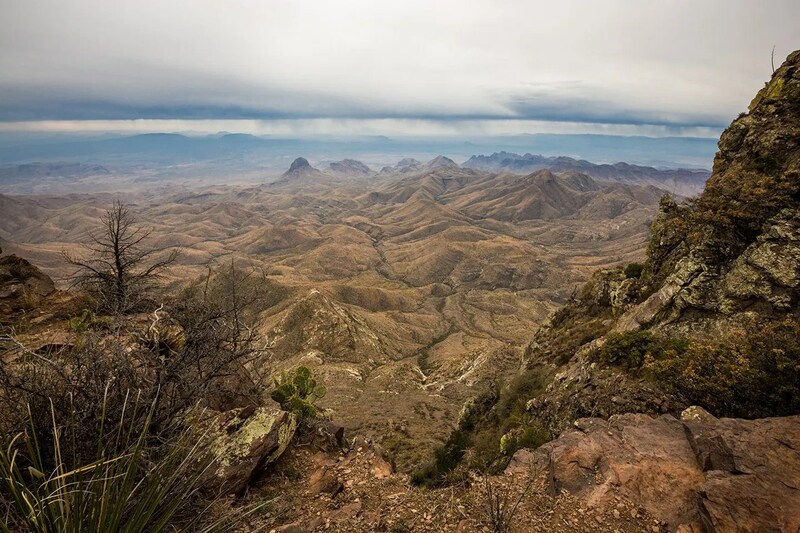 My wife and I went on an over-landing vacation in the back country of Big Bend National Park in Southwest Texas. 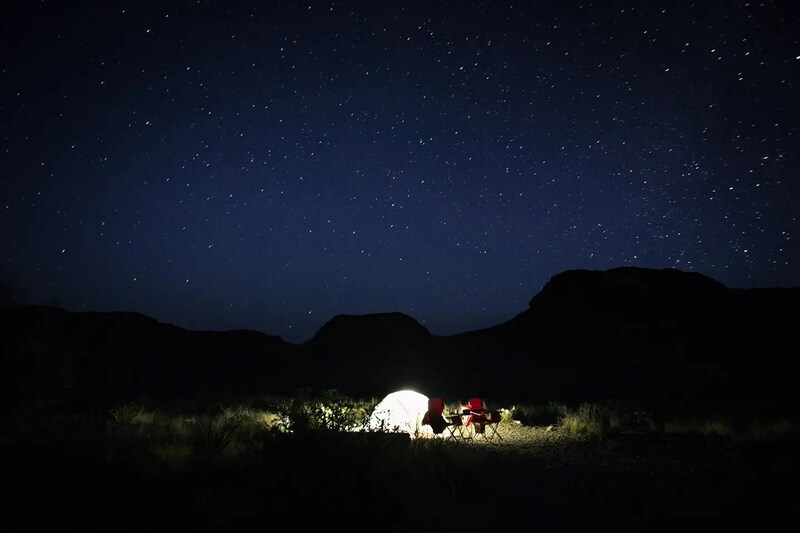 We went backpacking, camped under the stars and hiked a lot of trails. 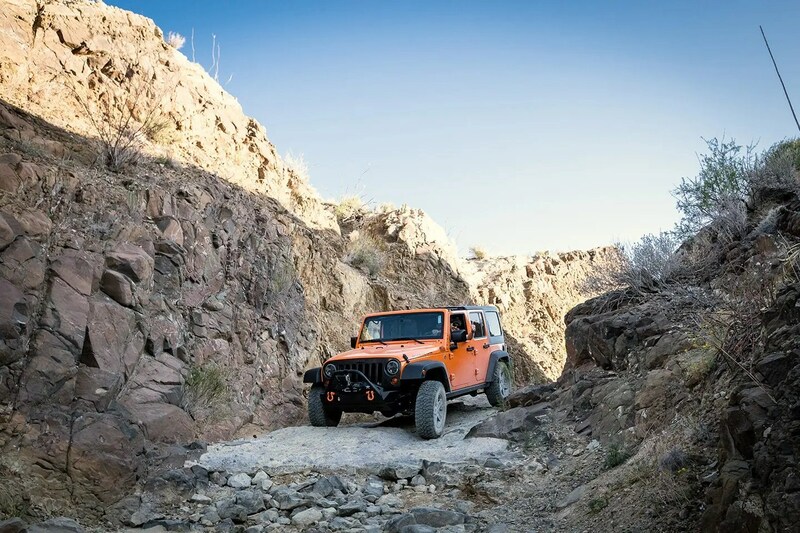 The Jeep saw a little bit of trail action too. The scenery was beautiful and the hiking was awesome. The trip was almost perfect. We got a curveball the last day we were in the National Park. The Jeep broke down. I thought I was prepared for just about anything. I had tire repair kits, spare parts, tools, recovery gear, survival gear, etc. What seemed semi battery related soon turned into a four-day ordeal. We set up camp on a back country road (high clearance required) off Glenn Springs road in Pine Canyon. 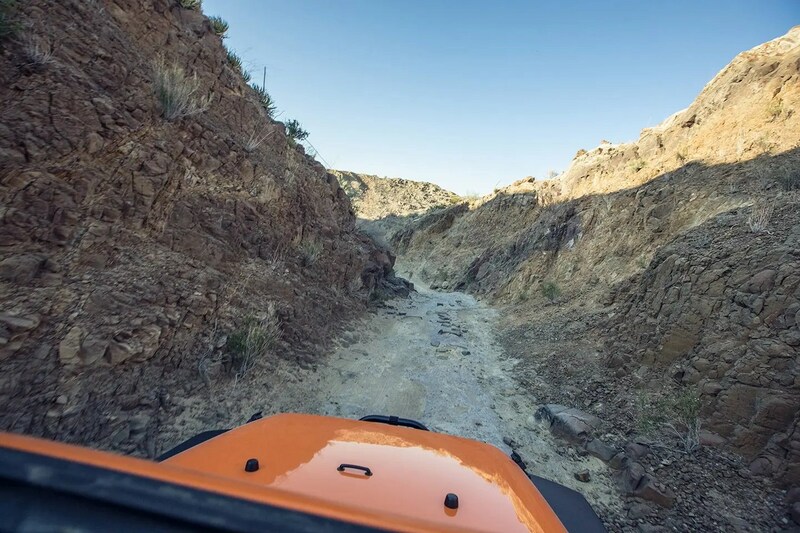 The Jeep sat for about 12 hours that evening and didn’t have a single issue the entire trip leading up to this point. We were about 10 miles from a main road and 20 miles from a ranger station. There was a small hiking trail that wasn’t well-traveled down the road from our campsite. By chance someone might be headed that way, but we hadn’t seen another vehicle for a while. After breakfast at the campsite we loaded our gear up for another day in the park. I went to start the Jeep and it didn’t start. It didn’t sound like the battery or starter was having an issue. After much exploration and unsuccessfully attempting to diagnosis the issue we grabbed our hiking packs, loaded them with water and set out in the hot sun to seek help. I was praying that the battery just didn’t have enough cranking amps to turn the engine over and hoped a jump was all it needed. We walked just short of 2 miles and could see a single dust cloud on the horizon. Hoping it was a vehicle as we continued toward it. I thought to myself, better not be a Subaru, knowing it wouldn’t have enough oomph to pull my heavy 4 door Jeep. Then the thought crossed my mind, what if it’s a Hummer H2? I’ll never hear the end of it from the Jeep club. Plus, they are probably a douche bag. I was relieved to see the outline of a Toyota as it slowly made its way over the varied rock terrain. I flagged down the truck. An older couple from Ohio sat inside the single cab. I asked if they would be willing to jump-start my Jeep, it was only a couple of miles down the road. They seemed reluctant but agreed anyway. I think they were more willing since my wife was with me. We jumped in the bed of their truck and hung on. The road was rough and dusty but we didn’t care. We’re just happy to find help so soon. When we arrived at our campsite our disabled Jeep sat there sad with its hood raised. I retrieved my jumper cables and made the proper connections. After a few minutes, I attempted to start my Jeep. No dice. The battery appeared fine, the starter fine. It just wouldn’t start, like there wasn’t a spark. 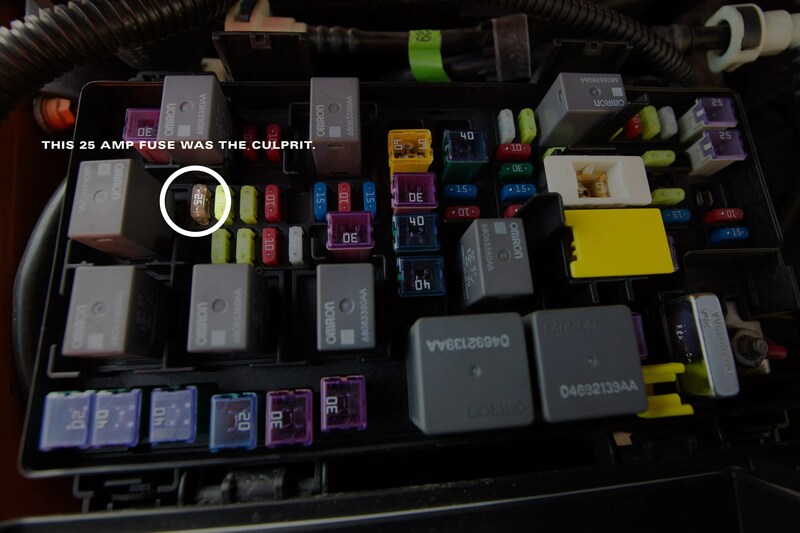 I opened the fuse panel and visually checked every fuse that even sounded like it was ignition related. They all seemed fine. I was stumped, my wife was upset and the couple from Ohio was wondering what they got themselves into. After a little deliberation we decided to pull the Jeep with the Toyota up to the main road to one of the few gas stations in the area. The Ohio couple had heard they had a mechanic on staff due to the remote nature of the park. Not knowing how long this would take, my wife quickly broke down our campsite as I continued to tinker on the Jeep. The pull was long and slow. My 30′ ARB recovery strap was too long for the terrain’s dips and curves. So, we doubled the strap which dramatically shortened the distance between the Jeep and truck. In order to keep the strap taut my Jeep’s brakes took a beating. The down hill sections were especially difficult because my Jeep outweighed the Toyota, it wanted to travel much faster. At one point I was standing on the brake trying not to ram my Poison Spyder bumper into these nice people’s tailgate. We finally arrived at the gas station and checked with the attendant. They did not have a mechanic on staff. They said the only one in the area was in the Study Butte/Terlingua area about 25 miles down the road, outside the National Park. The gentleman from Ohio reluctantly said, “I guess we are going to Study Butte”. By now our misfortune was effecting their vacation and occupying their day. They already missed their hike by offering to help. I didn’t feel right accepting their offer to tow us an additional 25 miles. I told them I have road side assistance and now that we are on pavement they should be able to get here. I thanked them and offer some money to buy their lunch at the Park lodge. They refused the cash, wished us well and went on their way. We were extremely grateful. Now we needed to arrange for roadside assistance. My smart phone was worthless since we were in an area without coverage. I asked to barrow the land line at the gas station, they agreed as long as it was toll-free. I called our Travelers Insurance Roadside Assistance. They dispatched a tow truck and said it would be approximate 95 mins. I picked up a weak wi-fi signal at the gas station and posted my frustration on Forbidden’s Facebook page. Several member’s offered suggestions and condolences. I was appreciative, many suggestions were good ideas that I tried but ultimately nothing helped. The truck towed us to Terlingua Auto Service in Terlingua, Texas. This small town was just 10 miles north of the Mexican border. Due to the heat in the area they work from 7 AM to 4 PM. The Jeep arrived at 3:30 PM on Friday afternoon just 30 minutes before they closed. The shop wasn’t open on Saturday and Sunday, along with most of the town. Our hopes of driving 1000 miles back home to Missouri on Saturday/Sunday were quickly vanishing. 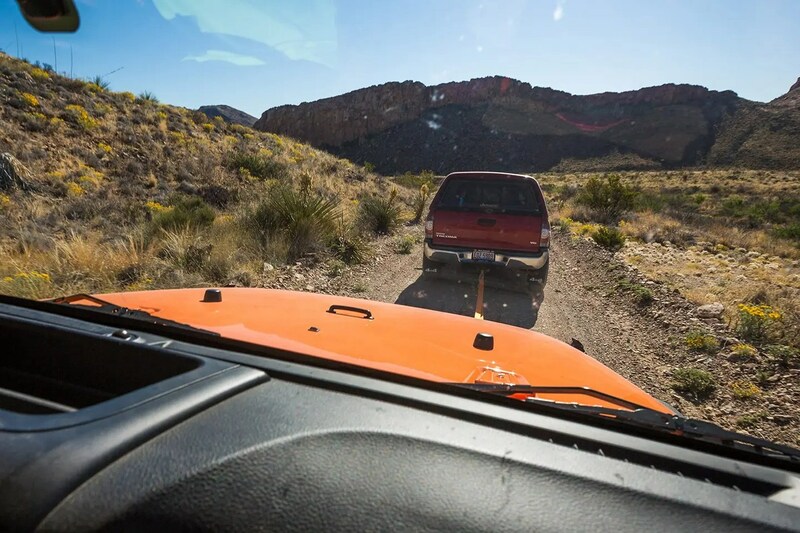 We began exploring the option of towing the Jeep to the closest dealership 195 miles away in Monahans, TX. Chrysler Roadside Assistance approved the $1600 tow. 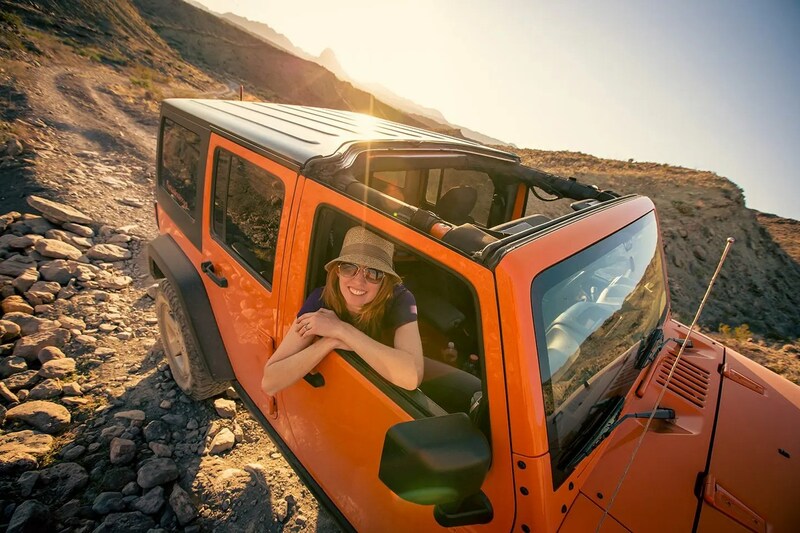 Before we set out, I called the dealership at Terlingua Auto Service’s suggestion. They said the area had experienced an oil boom and the influx of people was causing all sorts of things to be delayed. I got a hold of the dealership on the shops land line (my cell phone was once again worthless). The Monhans Jeep Dealership had a waiting list of 3 weeks! They wouldn’t be able to even look at it until then. I explained the unexpected nature of the repair and the semi-emergency it was to get it fixed. They said they might be able to sneak it in a week. But the repair would be a ways out. We were running out of options. 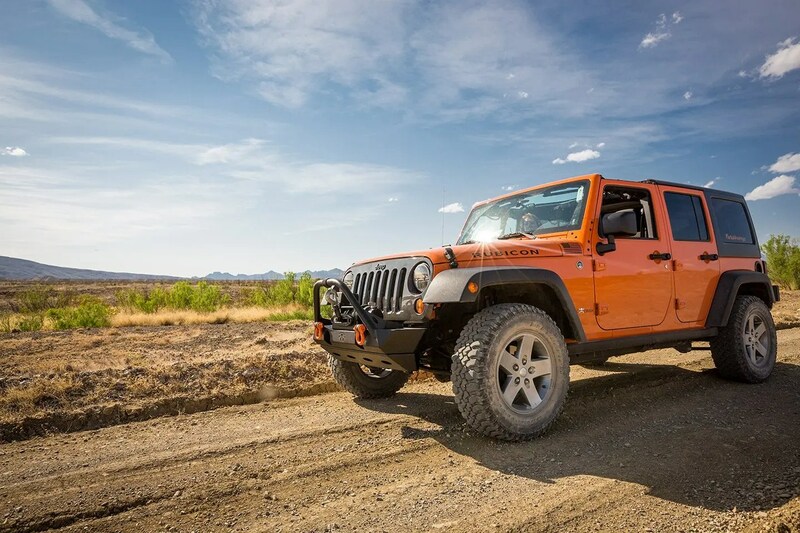 I asked Terlingua Auto if they could quickly look at the Jeep. They agreed and scanned for engine codes. They had several vehicles in the shop recently that had damage from Kangaroo Rats. Since they were in drought conditions rats were getting into engine bays looking for moisture and chewing up wires. This sounded ridiculous to me but several people including the tow truck driver had heard of instances recently. So, my Jeep sat locked in their garage until Monday morning with the assumption that we’d sort out the damage the rats presumably had done. We didn’t know what we were going to do. We still had our tent but setting it up off Texas highway 118 seemed like a bad idea. 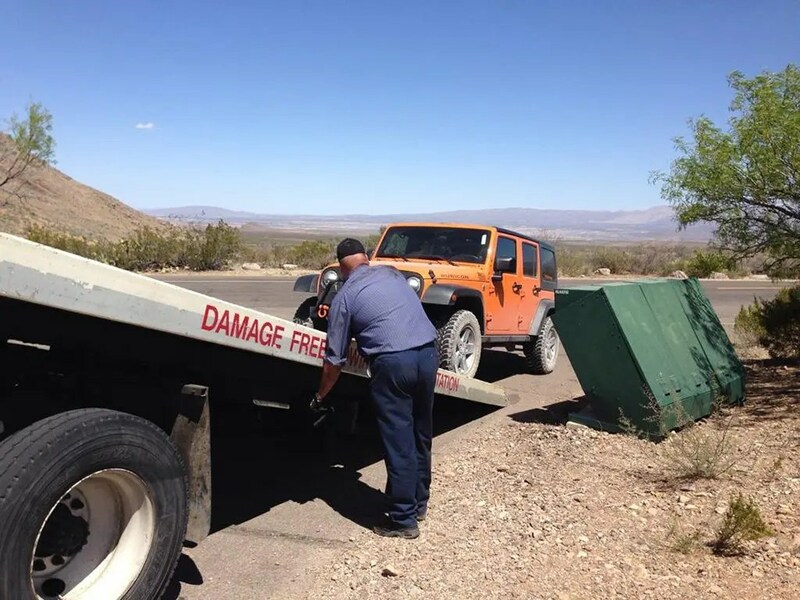 The tow truck driver lived in an adjacent town called Alpine, TX about 80 miles away. He offered to take us to a hotel there. We scrambled to grab our stuff and squeeze into the single cab Ford Tow Truck. I wanted to keep my camera and computer with me so we had very little room left for other possessions. Alpine was a good choice because it had options like a train station and local car rental company. We stayed in downtown Alpine, TX at The Holland Hotel. It is a beautifully restored spanish hotel with a rich history and excellent restaurant. It was a good place to hold up while we formulated a plan. My wife needed to get back to Springfield, MO on or before Tuesday morning. She was running 12 miles (stage 184) for One Run for Boston (it’s a neat event, you should check it out). To get her there and me back to Terlingua, TX a few things needed to happen. First, we rented a local car in Alpine, TX and drove it to Midland, TX. Then we rented a car from the Midland airport. We reserved a one-way rental to Springfield, MO from National online for about $350. Not too bad I suppose. However, when we arrived at National in Midland, TX we learned that they don’t accept debt cards, period. It’s total crap. We have credit cards but we don’t use them, plus I wasn’t carrying one with me (my mistake). We have plenty of money in that checking account, it’s a terrible policy and I’ll never use National again. I understand they didn’t know what I’d been through to get to that point, but their stupid policy was yet another kink in the chain. And for what? Anyways, Alamo Rental Cars accepts debt as a form of payment so we went there. However, a one-way rental to Springfield, MO was $950!!! Ouch. It wasn’t even a fancy vehicle, just a baseline Ford Focus. That was a ridiculous price and we weren’t going to do that with an unknown repair bill looming. It was much less expensive to buy a plane ticket to Springfield from United Airlines. That flight connected through Denver and would arrive Monday evening for almost a third the price of the rental car. I still needed to get back to Terlingua. So, we rented a car from Alamo for 48 hours. Drove both rental cars back to Alpine, TX. Returned the first rental car and went back to our hotel. In the mean time the hotel booked up and sold our room to another party. To be fair, we didn’t reserve it for another night. They upgraded us to a suite and comped the difference. They really took care of us, we are super grateful. 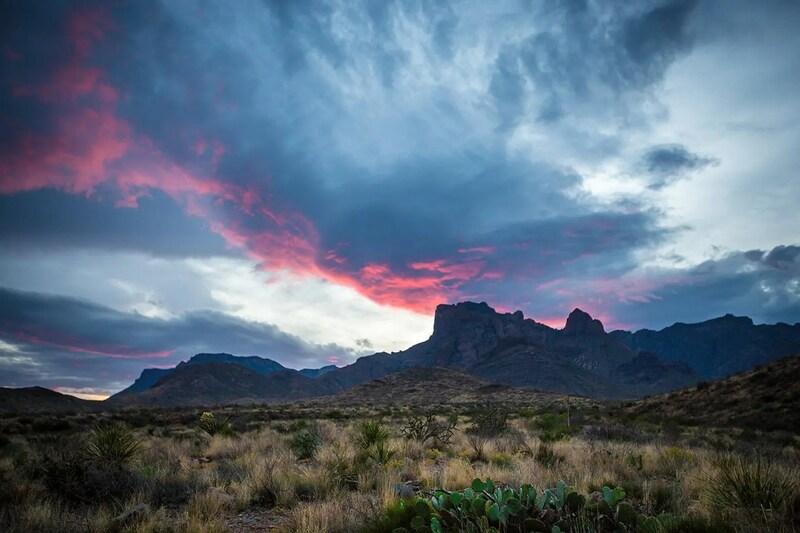 We hit the road early and headed south to Terlingua. We researched and found a motel (El Dorado Hotel) ~5 miles from the auto shop and booked two nights worth. At 9:30 AM I was finally back in the same town as my Jeep. My wife then turned around and drove 4 hours north to Midland to catch her flight. I tried all morning to call the auto shop, no answer. I was getting frustrated so I decided to walk to the shop. It was a hot sunny day and I remembered my sunscreen was still in the Jeep. Oops. I made pretty good time, when I arrived I found out most cell towers route through Mexico and get lost in the process. My calls never rang through at the shop. They had been working on the Jeep all morning. Using their Indentifix Data service to retrieve a schematic of my wiring system, they identified a blown fuse and faulty circuit. 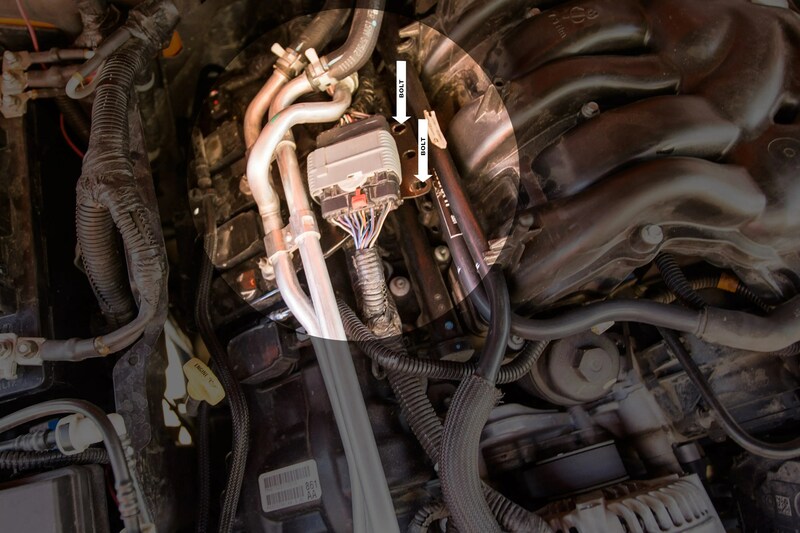 Apparently, this fuse governs the circuit for the throttle position sensor and cylinder injectors. Now the problem is, how do we keep it from blowing the same fuse when it’s replaced? The shop unplugged everything on that circuit, put a new fuse in and began checking each element. They got it all back together and it started! Until they reinstalled the bracket and plastic valve cover, then it blew the same fuse, again. The plastic shouldn’t have made a difference but the metal bracket might have. When they loosened the bracket and replaced the fuse it worked again. When the bracket is screwed down we can’t see underneath it. But, we are assuming the wiring harness that goes under the bracket is getting pinched somehow. This pinch is grounding the system and blowing the fuse. They tried to offer a permanent fix but ran up against the same issue over and over. So, I asked for a band-aid, a temporary fix to get me home. We left the bracket halfway unbolted and pushed the wires away from the engine. With that in place I drove 17 hours and 1000+ miles back home without incident. Back home. I scheduled an appointment with my Jeep dealer in Springfield, MO for Wednesday morning. My Jeep service advisor and shop foreman are going to discuss what happened so far. Hopefully they can fix it quickly. I just heard from my Dealership. After a day in a half of work, they found a small 1 inch strand of exposed wire that sits directly above a connector on the wiring harness. When the identified bracket is secured this places the wire extremely close to another electrical connection. 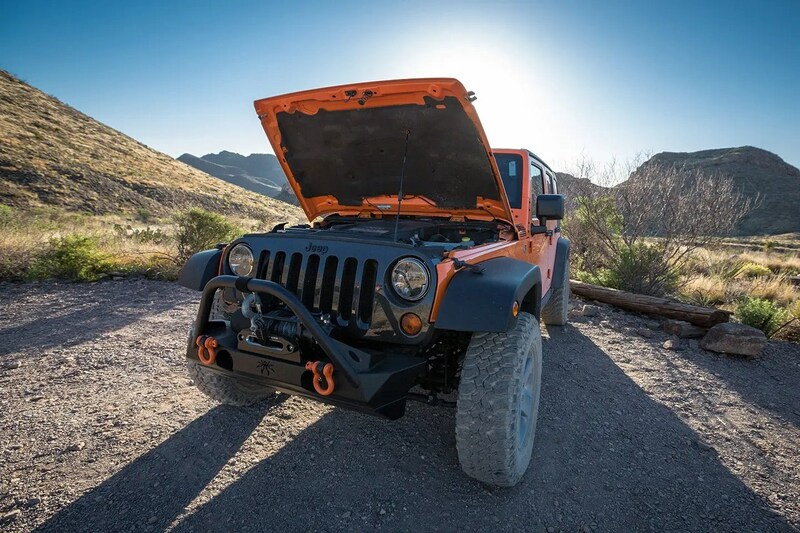 As the engine vibrates and the Jeep experiences varied terrain the wire can come in contact with a connector in the wiring harness. This in turn grounds the system, blows the fuse and causes all the issues I had in Southwest Texas. Kudos to Archie and Tommy at Terlingua Auto Service, they were exactly right. There aren’t any service bulletins for this issue on a Jeep JK and/or the 3.6 liter engine. As far as we know, this is an isolated incident. I believe it is related to the head replacement my Jeep required at 12,000 miles. That’s when the dealership had the top half of the engine torn down. Which could have placed undue stress on the harness and caused the premature failure. The dealership ordered a new segment for that part of the harness and it should be back in my hands tomorrow. My warranty is covering the repair and hopefully they cover the cost I incurred in Terlingua, TX. It will be back on the road/trail in no time. 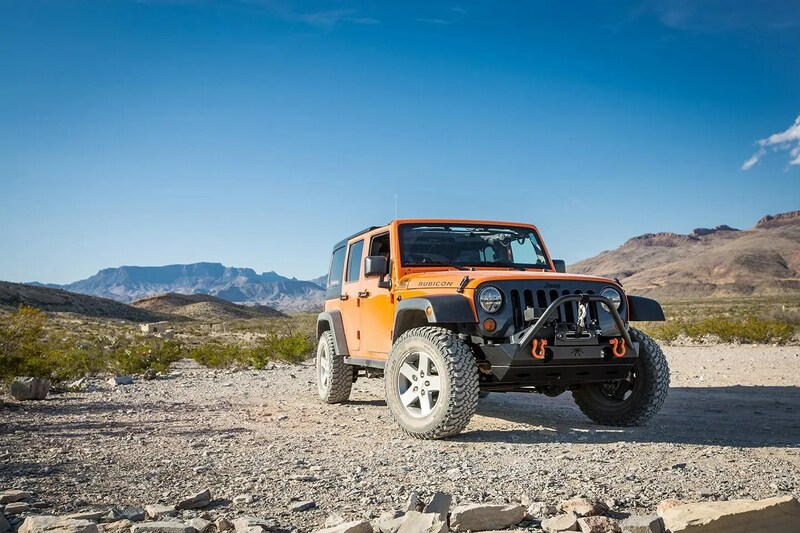 Jeep finally reimbursed me for Terlingua Auto Service’s diagnostic time and temporary repair. The related expense due to the breakdown (hotel, food, car rentals and plane ticket) were not reimbursed.